WGP Wins an the Gold ENnie! 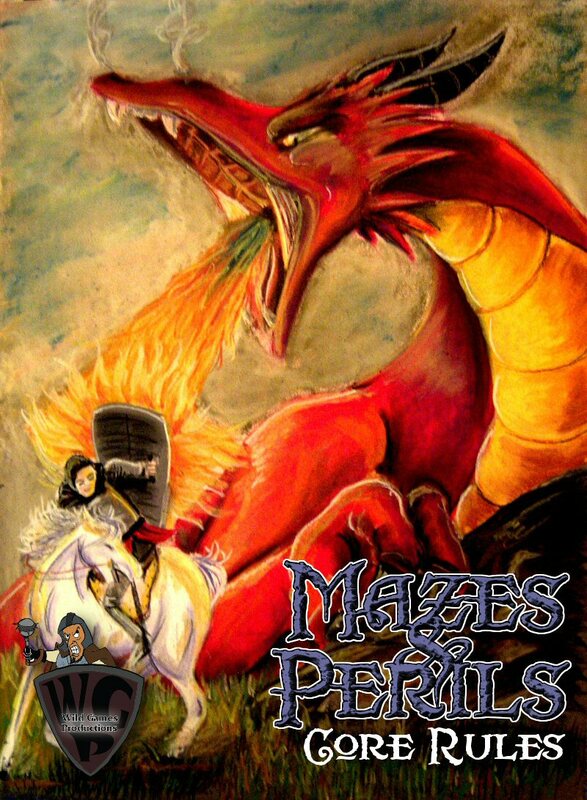 Mazes & Perils is a game of imagination and role playing in a fantasy world, suitable for ages 10 and up. To play, you need this standalone rulebook, some dice, paper, pencils, a few friends, and your imagination. If you have played other fantasy role playing games, the Mazes & Perils rules may feel familiar to you. Inspired by the 1977 “Holmes” version of the worlds most popular role playing game, Mazes & Perils goes beyond what the Holmes version provided, allowing for longer-term campaigns. Even if you don’t need another standalone fantasy role playing game, you may find a few useful new ideas herein that you can use with your other games. This PDF is absolutely free of charge, and always will be! You can download this ENnie award winning RPG for FREE! Check out here for more details! This entry was posted in Site News and tagged News. Bookmark the permalink.